On this page you will find many useful maps for BSDCan 2006. 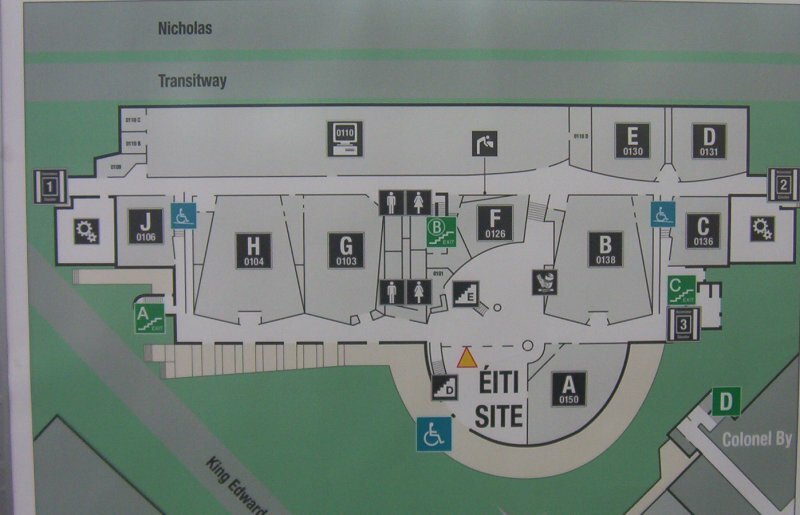 University of Ottawa - we are in the SITE building, bottom of the map. Residence is in the middle of the map, on the left hand side. If you like Google Maps, here is a link showing the SITE building, just to the left [west] of King Edward and Mann. It is the large building with the dark roof.